Life Insurance, Term Life Insurance. Call today for Insurance quote. The biggest reason to buy Life Insurance is to provide money to your family in the event of your death. If you’re single and don’t want to leave money to anyone, you may not need life insurance. But as you take on more responsibilities and your family grows, your need for life insurance increases. The proceeds from a life insurance policy can replace the income lost to your family upon your death. The life insurance death benefit can also pay off debts and expenses, provide money to a charity or organization, and cover final and estate expenses. There are two basic types of life insurance: term life insurance, which provides life insurance coverage for a specified period of time (the term), and whole life (permanent or cash value) insurance, which combines a death benefit with a cash value component. Term insurance generally offers the most protection for the smallest price. Many term policies are renewable, meaning that you can purchase them again for the same term even if your health or circumstances have changed, although the premium may increase on renewal. Some term life insurance policies (called “convertible”) will permit you to convert the term life insurance policy to a permanent life insurance policy at some point without undergoing an evaluation. The advantage of cash value life insurance is that it offers lifetime protection. However, some types of permanent life insurance act more like investments, meaning that their ultimate value depends in part on the performance of their stocks and bonds. Permanent life insurance generally has much higher premiums, especially initially, but unlike term insurance, it can also be used as an investment and retirement vehicle. With term life insurance, you protect you family’s financial future for a smaller premium payment. For a higher premium, permanent life insurance gives you financial protection now and savings for the future. To further compare types of life insurance, see our article on term life insurance vs. cash value life insurance. The amount of life insurance protection you should buy depends on how much income your survivors will need, how much you own and owe, and the amount of other life insurance available to you. If you’re married, both you and your spouse should consider buying life insurance. One of the easiest ways to estimate how much life insurance protection you should buy is to think about how much money your survivors would have to pay if you were gone. The process is similar for understanding how much car insurance coverage to buy. What Term of Life Insurance? Term life insurance is usually offered for periods ranging from 1 to 30 years. Consider choosing a term that matches your need for life insurance protection. For instance, if your main reason for buying life insurance is to protect your 7-year-old twins until they’re out of college, you’ll want to buy a policy with a term of at least 15 years. Different types of term life insurance will have different premiums. Level term, in which the death benefit stays the same over the course of the policy, and renewable and convertible term life policies will tend to have higher premiums, but may offer the protections you want. Two additional options for term life insurance are decreasing term and a return of premium feature. Decreasing term is often used by people who have a specific debt that is scheduled to decrease over time, such as a mortgage – although it may not be appropriate or cost-effective in all situations. It provides a continually decreasing death benefit, although the premium usually stays the same. The return of premium feature allows you to recover some of your premium payment if you never make a claim on your life insurance policy. It may be available in versions which allow for only portions of the premium to be returned, and may require that you reach the end of the term to qualify for a return. It almost always costs significantly more than other term policies, and thus does not make financial sense for most situations. How much you pay for life insurance will depend on a number of factors, including your age, your health, whether you use tobacco, your family health history, and the type and amount of life insurance you’re buying. Keep in mind that the premium payments may change later with some types of life insurance. If your policy does not guarantee that premiums will stay the same and that benefits will not decrease, that means the insurance company may raise the rate or lower the benefits. Be especially sure to understand how and why the premium and benefit payments are calculated, and what is guaranteed. Life insurance contracts aren’t written to be exciting, but read and understand yours. Policy provisions, the amount of benefits, the premium, and other charges you’ll pay will be listed along with other important information such as the beneficiaries you’ve named and the premium guarantee period. Make sure you understand everything in the policy. Under the laws of your state, you may have a “free look” period (typically at least 10 days) during which you can cancel the policy without penalty. If your life insurance policy doesn’t meet your needs, it’s easier to change it during this period than later, when you may face cancellation penalties. Contact Washington and Co Insurance Agency in Cleveland, Ohio 216-691-9227 to review your current Life Insurance policy or call office to get a quote on Life Insurance. The biggest reason to buy Life Insurance is to provide money to your family in the event of your death. 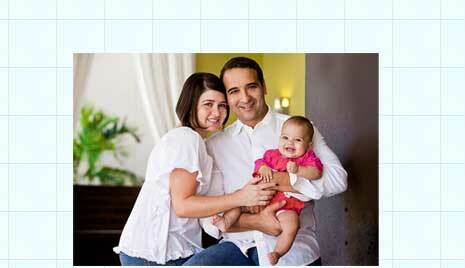 Get instant quote on Term Life Insurance,Cleveland, Ohio. For a more personal quote, contact Washington and Co Insurance Agency, Cleveland, Ohio, 216-691-9227 for a review of your current Life Insurance Policy or you will be able to get a more personal quote. If you’re single and don’t want to leave money to anyone, you may not need life insurance. But as you take on more responsibilities and your family grows, your need for life insurance increases. The proceeds from a life insurance policy can replace the income lost to your family upon your death. The life insurance death benefit can also pay off debts and expenses, provide money to a charity or organization, and cover final and estate expenses. Term Life Insurance or Cash Value Life Insurance? There are two basic types of life insurance: term life insurance, which provides life insurance coverage for a specified period of time (the term), and whole life (permanent or cash value) insurance, which combines a death benefit with a cash value component. Term life insurance generally offers the most protection for the smallest price. Many term life insurance policies are renewable, meaning that you can purchase them again for the same term even if your health or circumstances have changed, although the premium may increase on renewal. Some term life insurance policies (called “convertible”) will permit you to convert the term life insurance policy to a permanent life insurance policy at some point without undergoing an evaluation.